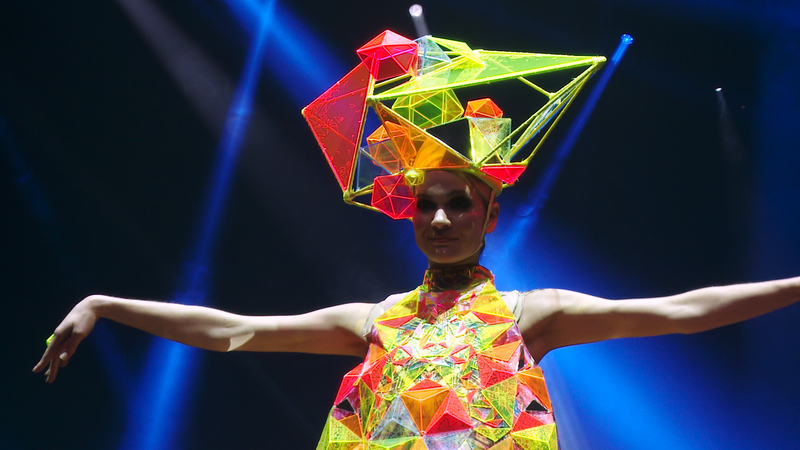 Fashion-Forward Exhibit in Hawaii Will WOW You! With all the natural beauty and sun-and-fun experiences at your fingertips when you visit Hawaii, it’s easy to forget to carve out time to absorb the extraordinary culture of the islands. But, if you’re visiting Hawaii anytime from October 10 through February 2, make sure you put “Bishop Museum” on your itinerary. That’s because this historical museum and cultural venue is the first museum in the U.S. to host the New Zealand-based “World of WearableArt,” or WOW, exhibition—which means you can be among the first to experience this amazing exhibit. Launched in 1987 at the rural Nelson Provincial Museum, WOW is the brainchild of creator and founder Dame Suzie Moncrieff, who challenged designers to take “art off the wall and adorn onto the human form.” And, what began as a competition among local artists and fashion designers has grown into an international competition that attracts more than 50,000 show-goers each year from around the world. The WOW exhibit at the Bishop Museum will feature many of the fashions found at New Zealand's WOW event, but on manikins. In New Zealand, the WOW event is a two-hour spectacular of dance, theatre, music, and art. By contrast, the traveling WOW exhibit at the Bishop Museum will showcase pieces displayed on manikins, plus a video alcove in which you can see how the wearable designs came to life in New Zealand. All of the pieces were made by a set of eclectic creators ranging from film costumers and stay-at-home moms to a saddle and harness maker and a commercial cleaner who twice won the competition leading up to the exhibition. That diversity, which celebrates the notion that everyone possesses creativity waiting to be unleashed, is the driving force behind bringing the exhibition to Hawaii, according to Bishop Museum’s president and CEO, Blair D. Collis. The Bishop Museum will be the first museum in the U.S. to host the WOW exhibit. When you visit the WOW exhibition at the Bishop Museum, you can count yourself among these creative geniuses, too. Those who find themselves struck by the creative spirit at the show will be able to dress up paper dolls that will be pinned to a wall, thus providing a secondary show of wearable art. With Halloween right around the corner, what better way to get inspired than by seeing wearable art at its best? Better yet, when you book an Oahu All Inclusive Vacation Package through Hawaii Aloha Travel, your hotel is just about a ten-minute drive to the Bishop Museum. So, reserve a few hours to side-step the beach and head to the Bishop Museum for this fantastical exhibit in Hawaii.